Tony Abbott is a serial copycat who steals his ideas from true leaders, writes deputy editor Sandi Keane, and we should be afraid of what he’s concealing. TONY ABBOTT IS A SERIAL OFFENDER when it comes to borrowing ideas and lines from more inspiring leaders. Unless the election result flies in the face of the pollsters’ predictions, our next Prime Minister will be a man who elevated stealing to an art form. The most egregious example was the centerpiece of his 2010 election campaign. The “marathon” was surely an original and inspired idea. The would-be Prime Minister would campaign for 36 hours straight, crisscrossing the country, visiting fisherman, bakers, firemen and supermarket delivery men, joking with late-night radio talk show hosts, appearing on early-morning TV shows, and buying flowers for his wife at an all night flower market. Except the campaign described here was David Cameron’s election campaign, the UK Tory leader, and the date was May 2010. 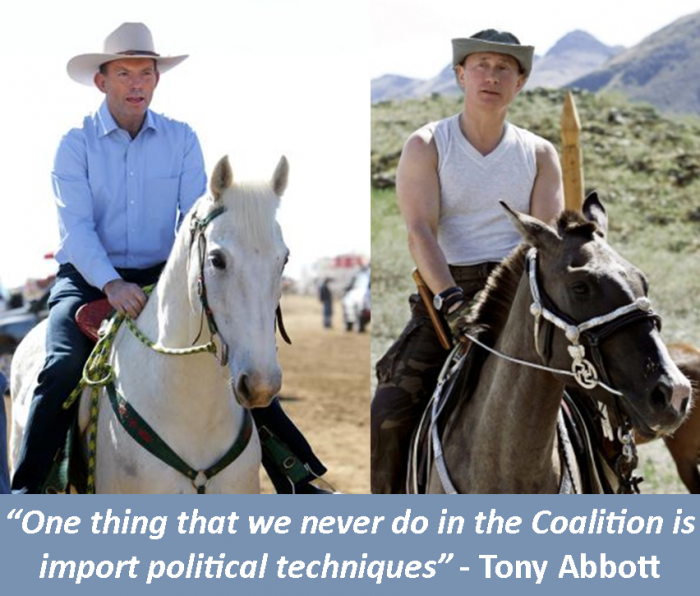 Tony Abbott’s copycat election campaign was, of course, in August, some three months later. The two leadership spills in the Government and Opposition turned what was set to have been a ho-hum election on its head — to the delight of political tragics. 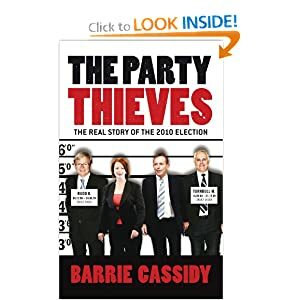 The promised drama of Julia Gillard pitted against Tony Abbott, a self-confessed junkyard attack dog, convinced Barrie Cassidy ‒ veteran political journalist, host of ABC’s Insiders and one-time IA contributor ‒ to write an “insider’s” account of the election, The Party Thieves. Astonishingly, on page 214, Cassidy describes the marathon stunt by Tony Abbott as ‘an inspired idea’. ‘Copy Cat from Ballarat went to school and got the strap’? That’s how plagiarists were dealt with once. IA attended the launch of the book and, puzzled, asked Cassidy why he attributed the so-called “inspired idea” to Tony Abbott — not David Cameron. Australia needs a leader with vision and original ideas, surely? Cassidy nodded begrudgingly, and quickly excused himself to autograph the next book. Roll forward to the current election, where we now we see Tony Abbott channeling his mentor, John Howard, in declaring the coming election to be about “trust”. Back in 2004, the slogan ‘who can you trust’ won Howard the election. George W. Bush stole the line for his own campaign. But quoting Howard on trust these days is risky, since Australians discovered we’d gone to war in Iraq on a lie. But if anyone in the government dares borrow an idea, Abbott lashes out in high dudgeon. Last year, the Leader of the House, Anthony Albanese (now deputy prime minister) attracted much derision when he mimicked a fictional Hollywood President played by Michael Douglas in a speechto the Melbourne Press Club. Opposition Leader, Tony Abbott, seized the moral high ground, censoring the government of having“no ideas of its own”. But barely a week later, not only did Abbott gazump Albanese’s minor misdemeanor by plagiarisingreal Presidents, he did so at the National Press Club — then compounded the misdeed by claiming it as his own original work. What the former journalist and speechwriter for John Hewson did was borrow from Barack Obama and Richard Nixon, as well as U.S. shock jock, Rush Limbaugh — all in the one speech! But he didn’t, so it wasn’t. 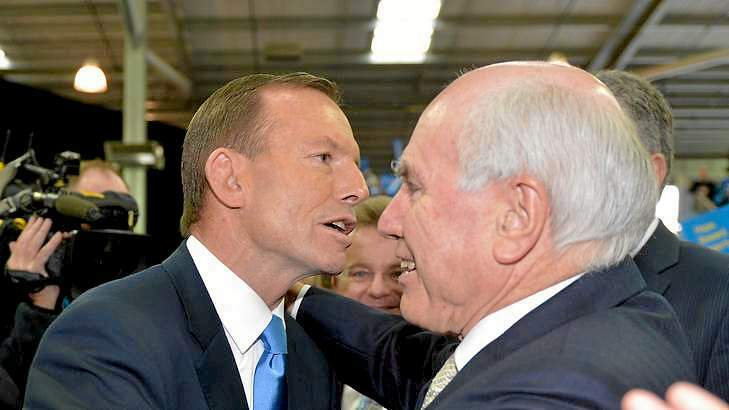 Political commentators have always been intrigued by Abbott’s known desire for mentors and heroes. He hero-worships John Howard and seeks regular guidance from Cardinal George Pell. Not just B.A. Santamaria (of whom Abbott, according to Marr, remained “a devoted foot soldier”) but the Jesuit priest at Riverview, Father Emmett Costello, a Bentley-driving conservative who urged him to enter the priesthood. Marr raised the question that many commentators have asked — whether Abbott can move out of the shadows as a follower and become a leader? Tony Abbott remains a complex and unknown quantity — a man “wearing a mask”, according to David Marr. “You don’t know when and if that mask might fall away,” Marr told Robert Manne. Tony Abbott, ever ready to borrow the ideas of others, asks us to take him on trust. It is surely fair for voters to question just whose trust we’re committing to and whose ideas we’re voting for at the September election. Tony Abbott’s? Or whoever’s pulling his strings? 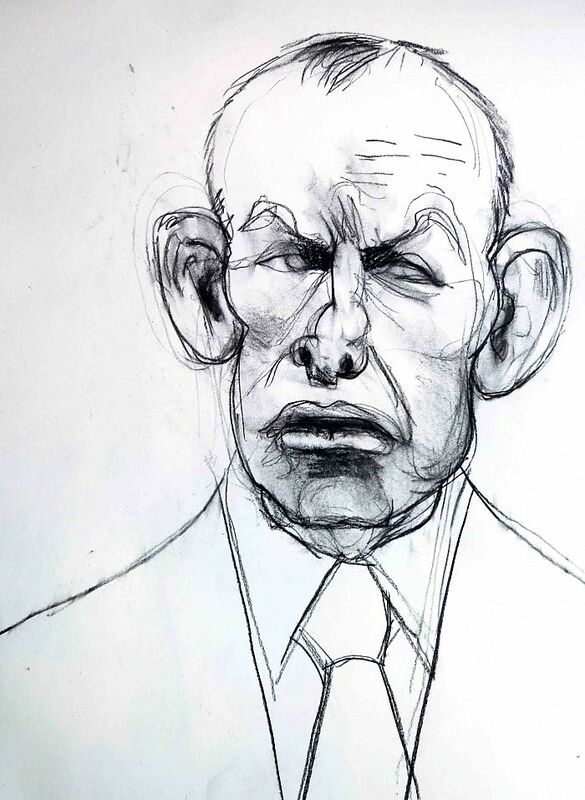 Read also Judy Crozier’s fascinating recent dissection of Abbott’s character: Tony Abbott: the man who’s somewhere else. Published on Independent Australia 27 August 2013 here.